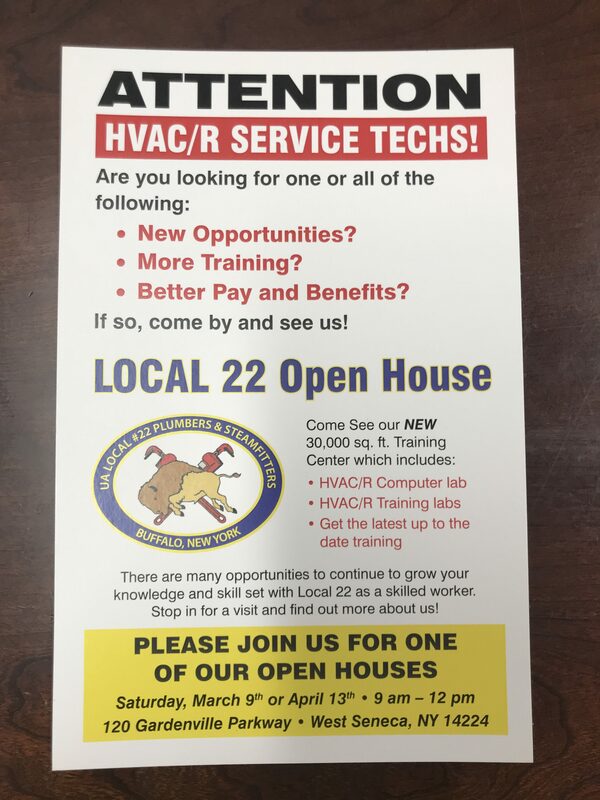 Local 22 Open house for all whom may have a interest in going into the pipe trades OR is currently working in the industry and looking for a new career path. HVAC/R and Plumbing service techs currently working in the trade are strongly encouraged to stop in. All are welcome please join us for this open house and take a tour of our newly completed 30,000 sq ft training facility and have a opportunity to speak with some one and have your questions answered. Light refreshments and snacks will be provided. Hope to see you Saturday morning! !